Council Member Chua Khai Suan of the Selangor Information Technology and E-Commerce Council (SITEC) represented Malaysia as a panelist and speaker during the Taiwan-Asean E-Commerce Partnership Forum (TAEP) on the 16th of November at the NTUH International Convention Center in Taipei, where the aim of the forum was to improve e-Commerce relations between Taiwan and a number of Asean nations. 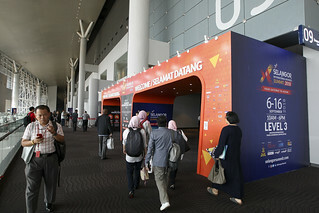 Also present at the forum, organised by the Commerce Development Research Institute (CDRI) of Taiwan, were representatives from Indonesia, the Philippines, Thailand, and Vietnam. 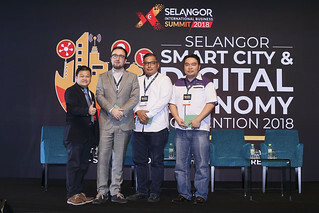 Joining Chua as a representative of Malaysia was Song Hock Koon, the director of e-Commerce and the Digital Free Trade Zone (DFTZ) division of the Malaysia Digital Economy Corporation (MDEC). 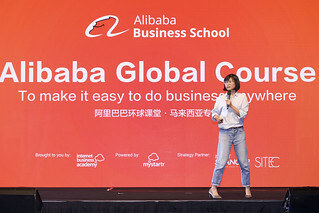 The forum brought together representatives and key players in the e-Commerce fraternities of each nation, with the intent of increasing interactions and fostering cooperation opportunities between the member nations’ e-Commerce ecosystems, establishing channels of information exchange on e-Commerce industry regulations and development policies. This also serves as a means for the various domestic and international e-Commerce development communities to link up and establish networks. An established partnership will see the member nations taking turns to host the “Annual TAEP Summit and Matching Fair”, as well as organising delegations to visit the other member nations, as well as build up a joint database of participating businesses.